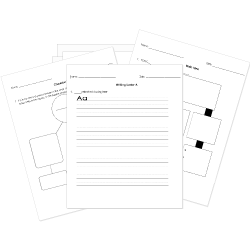 You can create printable tests and worksheets from these Grade 10 African-American Literature questions! Select one or more questions using the checkboxes above each question. Then click the add selected questions to a test button before moving to another page. Which value is at the core of the theme of "Thank You Ma'am"? turning Roger over to the police and calling his parents. hitting Roger over the head with her purse. hiding her purse when she brings Roger to her house to eat. being kind by feeding Roger and giving him money. What happens when Roger tries to steal Mrs. Jones's purse in "Thank You Ma'am"? He changes his mind because he knows it is wrong. He changes his mind because he is frightened by her large size. The purse is so heavy that he loses his balance and falls. He runs away but is caught by another person and brought back to Mrs. Jones. In "Thank You Ma'am", how does Mrs. Jones get Roger to her home? She drags him up the street. She ask the person who caught Roger to drop off the boy. She tells him she will give him the money for the blue suede shoes. Which shows Martin Luther King Jr.'s use of parallel structure? The repetition of "I have a dream"
What was the name of the place Grant liked to go to when he didn't want to be home? What was the deputy's name who served with Sheriff Guidry?